Açıklama : Today is the September equinox. Heading south, the Sun's path through the sky will cross the celestial equator at 20:02 UT. Of course the equinox date results in (mostly) equal night and day all over planet Earth. But on August 21 the Sun's path through the sky found a little extra-night for some. 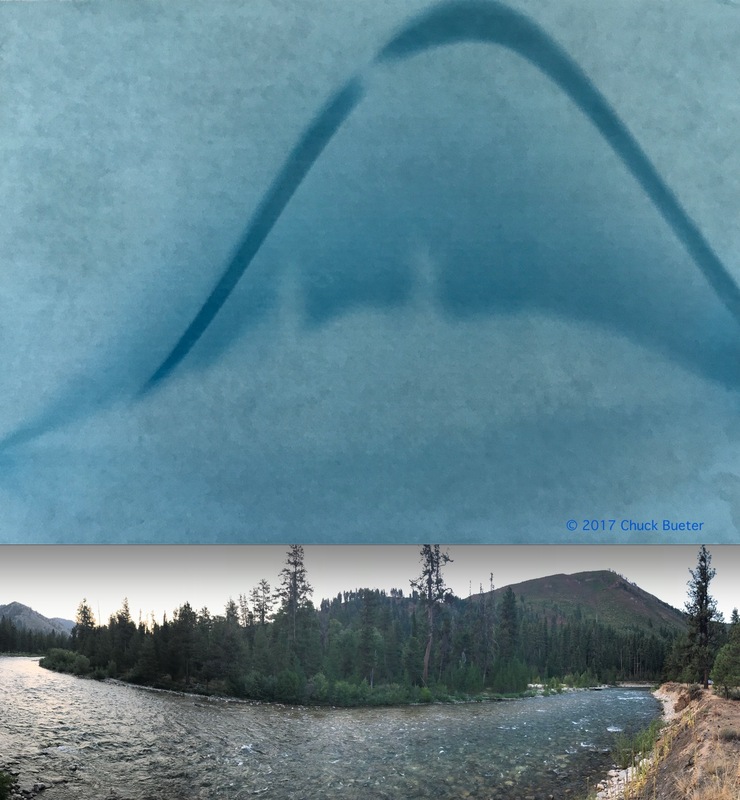 Made with a drink can pinhole camera and light-sensitive paper, this creative solargraph follows the Sun's path on that date. An all-day exposure, it traces the Sun's arc still rising high in northern skies, aligned with a panoramic snapshot of the local landscape at the bottom. The gap in the arc represents the duration of the partial and total phases of the solar eclipse in clear skies over Lowman, Idaho, USA. There, the extra-night (totality) lasted for about 2 minutes. The broad gap in the Sun's arc also covers the loss of sunlight during the more extended partial eclipse phases.